The vice-like grip of the iOS and Android operating systems is only getting tighter, according to new sales figures published late last week. New data from Comscore, released on Friday, showed Android leading the way at the end of May 2013 with 52.4 per cent of all US sales, up from 51.7 per cent at the end of February. iOS' share of the US market rose 0.3 per cent to 39.2 percent during same time period. Despite the launch of BlackBerry's new BB10 operating system and the best selection of Windows Phone 8 devices yet, both of those platforms saw their share fall to 4.8 and 3.0 per cent respectively. It was a similar story for hardware sales. Apple's iPhone led the way with the 32.9 per cent, closely followed by Samsung which enjoyed a sizeable 1.7 per cent jump to 23 per cent of sales. The next three, HTC, Motorola and LG all endured a fall in sales during the three month period, all of which remain under 10 per cent. 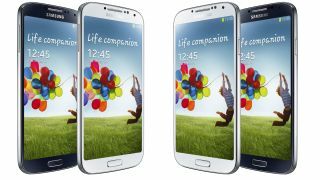 Samsung's continued rise will have been fuelled by the launch of its new flagship Galaxy S4 handset but, worryingly for HTC, its critically acclaimed HTC One release couldn't stem the the drop-off in its share. There is, of course, hope for those competing operating systems and manufacturers, but until the numbers start going in the other direction, it's difficult to be too positive. They have to start gaining at some point, right?